This chapter explains the function of the digital output module. This section describes the operation of the different output modes and gives examples how the outputs can be controlled. Digital outputs distinguish between physical and logical state. 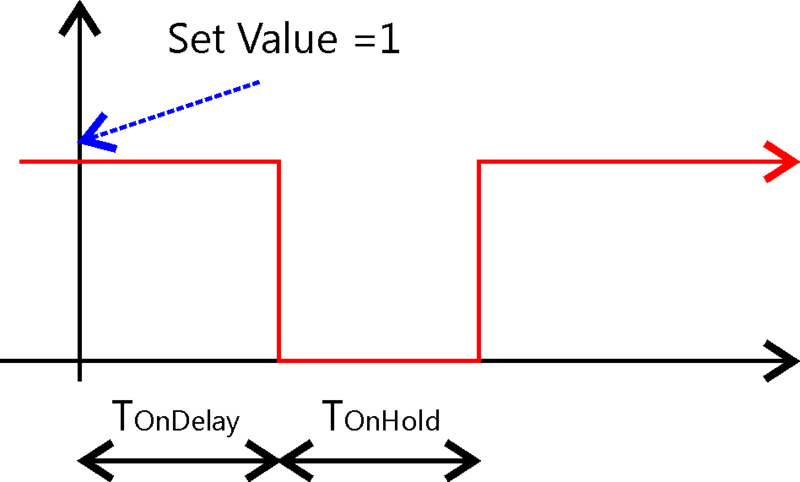 The logical state of a digital output is the current internal state which can be “0” (cleared) or “1” (set). The logical state of a digital output is calculated by the output handling and is normally identical to the physical output state. Normally, setting the logical output state to “1” sets the physical output state to “1” which results in a digital output being enabled. In the case that digital output inversion is activated by setting outDiInverted to “on” the logical and physical states are inverted which means that the physical digital output is inverted in relation to the logical output value. Setting the logical output to “1” clears the physical output state to “0” which results in an output being disabled. All output modes support inversion of physical state. Reflect Mode is the most simple digital output mode and links the value written to an output with the physical output directly. Writing “1” to the output causes the digital output being set immediately. Writing “0” to the output causes the digital output being cleared immediately. By setting and clearing outputs in Reflect Mode any pattern of the output signal can be generated, but the timing is limited by the communication protocol and the host computer. This means e.g. that switching an output on and off every 1ms would need 1000 commands per second. This is not realistic because common operating systems do not allow such a fast timing. Moreover the communication (e.g. via USB) takes some time. Altogether this would lead into an inaccurate and non-deterministic timing of the signal. Duty-Cycle Mode and On-Off Mode prevent this by implementing the critical timing in the module. 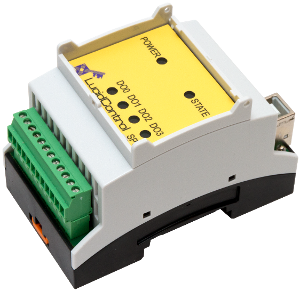 In Duty-Cylce Mode the module switches digital outputs on and off in a periodical sequence which is also referred to as PWM (pulse-width-modulation). By switching a digital output on and off periodically it is e.g. possible to control the power consumed by a device and can be used for e.g. controlling the power of a pump or a heating element. By adding a temperature sensor connected to a LucidControl RI4 module a temperature control loop can be realized. TCycle defines the cycle time (period) of the signal and can be configured by the IO Configuration Parameter outDiCycleTime. 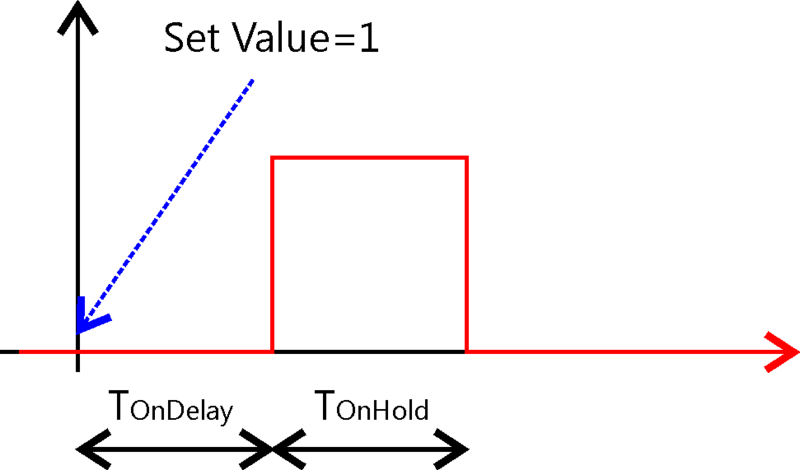 The resolution of the generated signal is TCycle/1000 which means that on-time and off-time have a resolution of 1 ‰. Changing the Configuration Parameters outDiCycleTime or outDiDutyCylce while processing of the Duty-Cycle outputs is running updates the values immediately. Fig. 3.1.2-2 shows the physical output state of the example above in the case that physical output inversion is activated by setting the IO Configuration Parameter outDiInverted to “on”. While the processing of the outputs of both examples is identical, the figure shows the inverted physical output. In the examples above setting the output value to “0” causes the end of the Duty-Cycle processing. As long as the logic output is “0” value the running cycle can be interrupted immediately by setting the logic value to “0”. But in the case that the logic output value is “1” the processing can earliest stop after the on-state has finished as shown in Fig. 3.1.2-1. Fig. 3.1.2-3 shows the behavior of the output if the IO Configuration Parameter outDiCanCancel is set to “on”. This allows stopping the logic on-phase immediately returning to “0” when the output processing is stopped by setting the output value to “0”. While output processing is running the IO Configuration Parameters outDiCycleTime and outDiDutyCycle can be updated at any time. The changed values will be used immediately i.e. for the running cycle also. Mechanical relays have a limited switching capability of approx. 1.000.000 on-off cycles. Because of this the Duty-Cycle Mode is not available for DO4-S module. In On-Off Mode the output generates a one-time sequence pattern shown in Fig. 3.1.3-1. 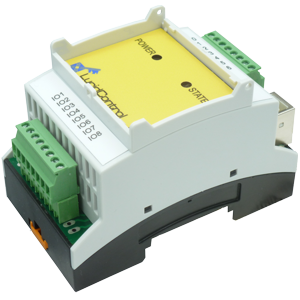 By using On-Off Mode time controlled switching functions (e.g. used in timing relays) can be realized. Setting the logic value of the output to “1” starts processing of the output handling by starting the TOnDelay interval. After TOnDelay has passed the logic output value changes to “1” and TOnHold interval starts. After TOnHold time has passed the logic value returns to initial “0” state and the sequence finishes. Fig. 3.1.3-2 shows the inverted physical output value of the example above in the case that physical output inversion is activated by setting the IO Configuration Parameter outDiInverted to “on”. Fig. 3.1.3-3 shows the behavior of the output value in the case that IO Configuration Parameter outDiCanCancel is set to “on” and the logical output value is set to “0” before TOnHold has passed. While in the previous Figures the on-phase finishes after TOnHold has passed outDiCanCancel allows canceling the on-phase immediately by setting the output value to “0”. Figs. 3.1.3-4 shows the output timing sequence with IO Configuration Parameter outDiCanRetrigger set to “on”. This setting allows retriggering the on-phase before the logical output returns to initial “0” value. Setting the logical output value to “1” before TOnHold has passed restarts the TOnHold interval again. It is save to combine IO Configuration Parameters outDiCanRetrigger=“on” and outDiCanCancel=”on”. This allows retriggering of on-phase as well as on-phase cancelation. Since the module was preconfigured with TOnDelay = 1 s and TOnHold = 1 after writing a “1” to output value of channel 0 will set the output after 1 s for 1 sec returning to “0” finally. 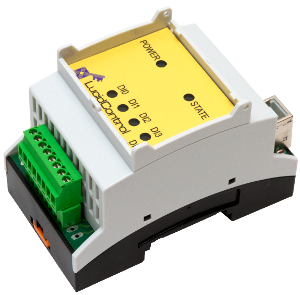 The module uses high resolution hardware timers when Duty-Cycle Mode or On-Off Mode is active. The different output types of the module make it necessary to limit the timing resolution tRes which is shown in the table. The timing resolution defines the minimum interval for a single on-phase or off-phase of the output. If a specified or calculated on-time or off-time is lower than tRes the void phase is skipped. The output 0 of DO4-S module is configured for Duty-Cycle Mode with TCycle = 1 s (1.000.000 µs) and a DutyCyle of 50‰. The resulting times are TOn = 50 ms and TOff = 950 ms. Since TOn violates the tRes constraint, requesting more than 100 ms as minimum interval the on-phase of the output is skipped, causing the output staying low permanently. 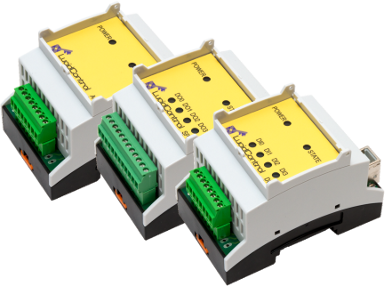 TCycle, TOnDelay and TOnHold have a common maximum limit of 3.600.000 µs (1 hour) for all modules. After an output was set up correctly and configured it is possible to write to the output by using the SetIo command or SetIoGroup command. The current value or state of the output can be read by using GetIo command or GetIoGroup command. The following sections describe in detail the commands which are supported by the DO4 module. This command sets one output value. This table illustrates the meaning of the values depending on the Output Mode. Duty-Cycle Status of the Duty-Cycle Mode processing. “0x01” refers to enabled processing, “0x00” to disabled processing. On-Off Status of the On-Off Mode processing. “0x01” refers to enabled processing, “0x00” to disabled processing. When using the LucidIoCtrl command line tool the distinction between the SetIo and SetIoGroup commands is not necessary since LucidIoCtrl command line tool handles this automatically. The command does not return any data. This command writes values of the same value type to multiple output channels. This command reads the value or state of a digital output. When using the LucidIoCtrl command line tool the distinction between GetIo and GetIoGroup commands is not necessary since the program handles this automatically. This command reads the values or states of a group of digital outputs of the same Value Type. In case of successful execution the command returns the read values or states of the channels specified in the Channel Mask. The relevance of some parameters affecting the Digital Output module may depend on the operation mode. This IO Configuration Parameter reflects the value or the state of the output. For normal operation it is recommended to use the functions SetIo and GetIo in order to write or read to an output. Setting outDiValue allows to assign a persistent value by means that the output value is restored after the module is restarted. This IO Configuration parameter configures the operation mode of the output. Set operation mode of channel 0 to Duty-Cycle Mode and make the setting persistent. The parameter outDiFlags cannot be accessed directly by using the Command Line Tool. The Bit Parameters can be used instead. When outDiFlags is changed by the SetParam command the current setting of outDiFlags should be read before updating it in order to prevent overwriting other Bit Parameters. Enable inversion of physical output channel 0 and make the setting persistent. This Bit Parameter configures the output on-phase cancelation and is relevant in Duty-Cycle Mode and On-Off Mode only. Enable output cancelation output channel 0 and make the setting persistent. This Bit Parameter configures the on-phase retrigger function of the output and is relevant for On-Off Mode only. Enable output retrigger of channel 0 and make the setting persistent. This IO Configuration Parameter specifies the cycle time TCycle of an output in Duty-Cycle Mode. 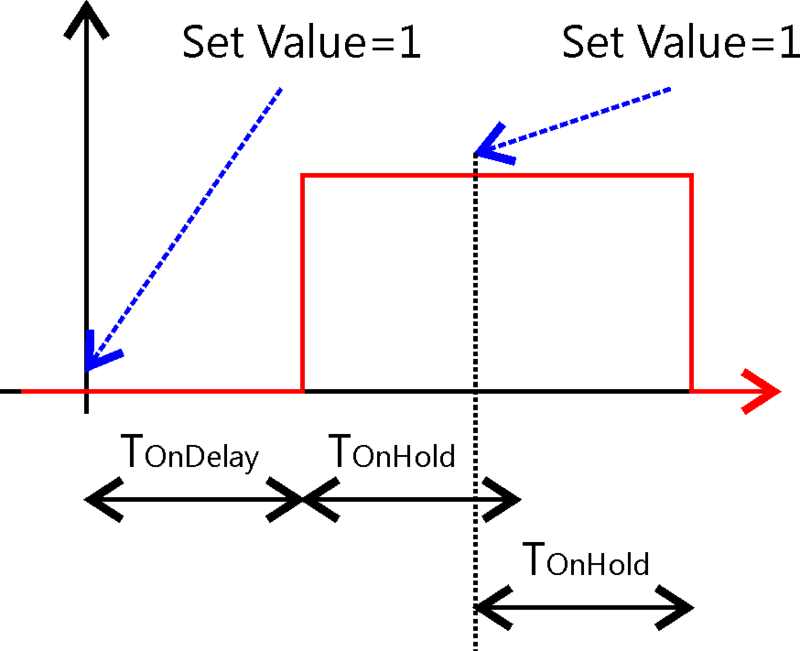 Set TCycle of output channel 0 to 1.5 s and make the setting persistent. tRes timing limits must be considered. This IO Configuration Parameter specifies the Duty-Cycle of an output in Duty-Cycle Mode. 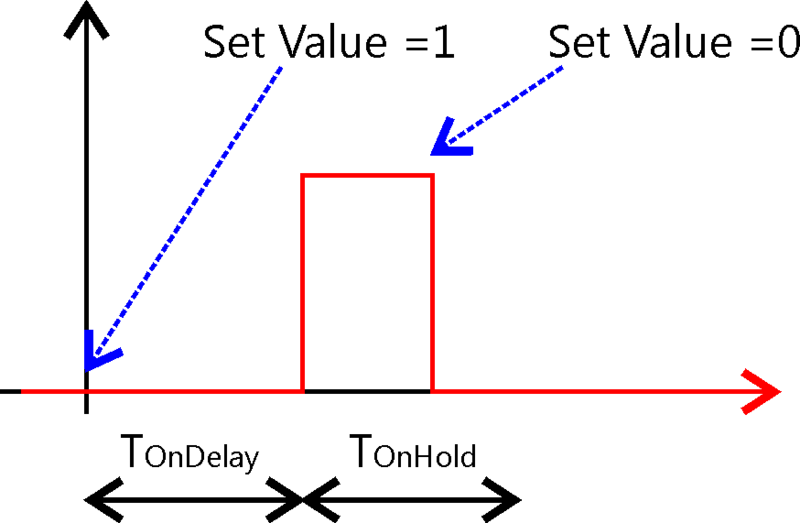 Set Duty Cycle of output channel 0 to 20% and make the setting persistent. This IO Configuration Parameter specifies the on-delay time TOnDelay of an output in On-Off Mode. Set TOnDelay of output channel 0 to 520 ms and make the setting persistent. This IO Configuration Parameter specifies the on-hold time TOnHold of an output in On-Off Mode. Set TOnHold of output channel 0 to 1200 ms and make the setting persistent.